Rex also offers guided trips using Spin Fishing and light tackle gear for those that do not fly fish. 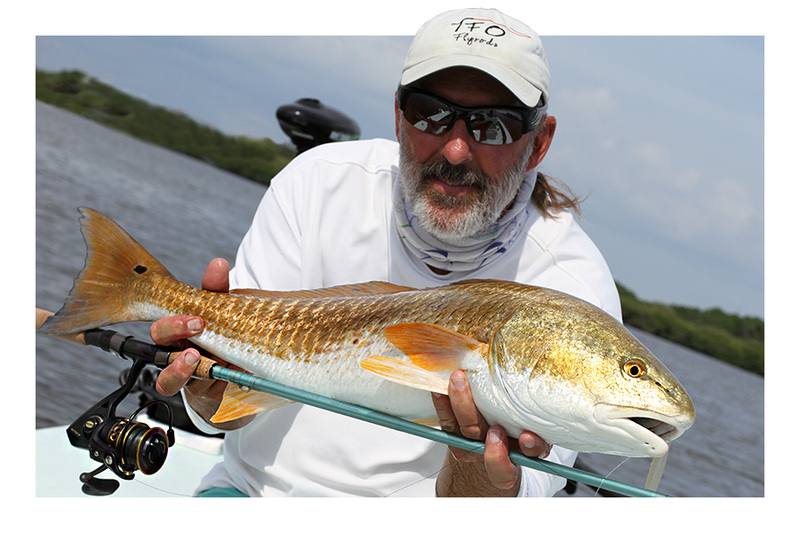 Use the highest in quality light tackle spinning to cast at Redfish, Tarpon, snook and Trout. Family Friendly, Captain Rex loves kids! Rex can accommodate up to three anglers using light spin tackle. Nothing can be more exciting then spending the day being poled along the lush grass flats or Turtle or Bull Bay casting at oversized bull reds. This type of drag screaming action is sure to make your heart rate rise, but don’t worry Rex is CPR certified and fully insured. Rex’s skiff the Action Craft 18 foot flats boat is built for comfort a dry ride gets you and your closest family of friends out the fish in a hurry.